In 2012, Superstorm Sandy inundated New York, financial capital of the world, with a 13-foot storm surge. Three hundred lives were lost, streets and subways flooded, some were forced to wait months before returning to their homes, and $75 billion was lost in damages. Storms are being intensified by climate change. New Yorkers are resilient. Stronger than ever, they bounce back from blizzards, superstorms, and terrorist attacks. 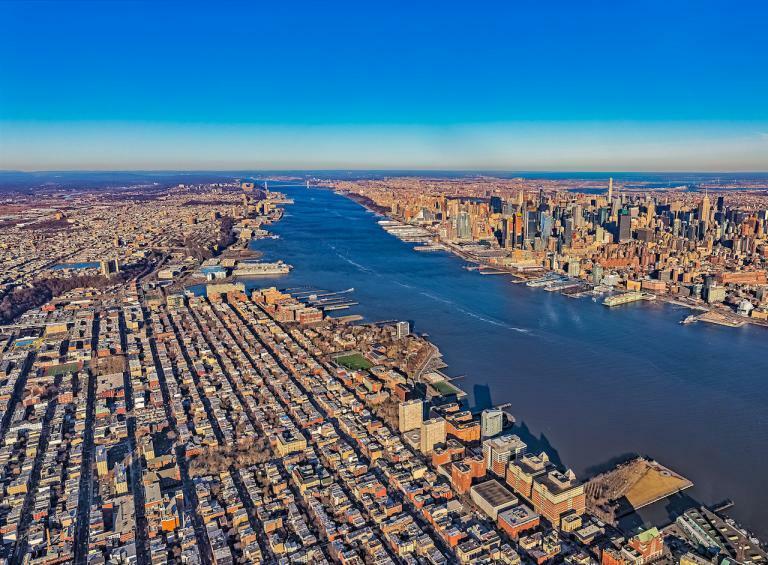 Now, New Yorkers are installing microgrids with large batteries, solar power, combined heat and power (CHP), and fuel cells for future resilience. Eighty three communities have received microgrid research awards. Some New York microgrids are now running daily. Giant apartment buildings can keep pumping water to all floors and have one elevator continue running. Resilient fire departments and police can run their facilities and emergency evacuation centers. A microgrid is a group of interconnected loads and distributed energy resources (DER) with clearly defined electrical boundaries that can be connected to the grid or be in island mode. At the GTM Grid Edge Innovation Summit, I heard about the advancement of grid edge and microgrid technology. A good example is the microgrid at the 625-unit Marcus Garvey Apartments, a Brooklyn community that spans ten city blocks. The project includes 480 kilowatts (kW) of rooftop solar, a 400 kW fuel cell from Bloom Energy, and 300 kW/1,200 kWh of LG Chem batteries, meeting much of the apartment complex electricity needs that hits a peak of 1.5 megawatts (MW) in the summer and 3 MW in the winter. In the event of a grid outage, like the days after Superstorm Sandy, the thousands living in the apartments will still have power, lighting, and drinking water that requires electricity for pumping. Not far away a transportation microgrid known as NJ TransitGrid is being developed. The New Jersey Transit system serves 900,000 passengers daily. The stretch of rail supported by the microgrid is both an important access point to Manhattan that is vulnerable to flooding. The microgrid will include wind, solar PV, storage, and fuel cells, with a goal of becoming one of the largest microgrids in the world with 104 MW capacity. Long term, New Jersey expects the project to have capacity to power rail stations between the cities of Newark and Hoboken. Most states now have community solar programs. In states including California, Colorado, Massachusetts and Minnesota, communities have built and shared megawatts of solar power. Many have done it with utility-managed programs; others have created independent programs to challenge utilities seen as slow moving in the transition to clean energy. Community microgrids offer a next step for these solar-choice communities. Microgrids add the ability to include storage, fuel cells, and combined heat and power. Community microgrids can import added power at peak from the grid, make money participating in utility and wholesale demand response programs, and island from a failing grid, keeping the community running. We are early in the implementation of innovative community microgrids, each somewhat different. The California Energy Commission (CEC) will give $5 million to the Humboldt State University Sponsored Programs Foundation for a solar-plus-storage microgrid at the Redwood Coast-Humboldt County Airport, with 2.3 MW solar array and 8 MWh battery storage. The project will be the first multi-customer, front-of-the-meter microgrid with renewable energy generation owned by a community choice aggregation (CCA). Roads in the area have been closed many times by fires and mudslides. The microgrid will keep the airport running in these situations, including use for emergency medical flights and Coast Guard Air. Already running in Humboldt County is the Blue Lake Rancheria microgrid which supports a Red Cross Shelter. Multiple microgrids can work together. In Chicago, Exelon, a subsidiary of ComEd will build one of the first utility-scale microgrid clusters in the U.S. Located in the Bronzeville neighborhood of Chicago, this new microgrid will connect the neighborhood microgrid with an existing microgrid on the campus of the Illinois Institute of Technology (IIT). The Bronzeville microgrid cluster will serve an area that includes 10 critical service facilities. Two years ago, schools were closed and thousands evacuated from homes, escaping a 2.5 million pound per day methane leak in Aliso Canyon, in LA County. The leak took months to seal. Over its 16-year life in the atmosphere, methane traps about 100 times the heat of CO2. LA depended on the methane stored at Aliso Canyon for dozens of power plants. Southern California Edison (SCE), serving 15 million people in the LA area, acted at heroic speed by utility standards. Already challenged with the closing of its last two nuclear reactors, the utility now needed to shut down about 30 peaking gas plants immediately and dozens of larger methane power plants by 2020. The massive loss of central generation is successfully being accommodated with microgrids, renewables, energy-efficient building retrofits, energy pricing and cloud services that move demand off-peak, and with intelligent energy storage. Irvine Company and Advanced Microgrid Solutions (AMS) have installed large Tesla batteries at 21 buildings across Southern California. Each is capable of reducing building peak demand by 25 percent. Using advanced software, the smart buildings can provide SCE with up to 10 MW of instantaneous load reduction for up to four hours at a time, helping SCE balance the grid. In three years, the flexible load will expand from ten to 50 MW. The University of California at Irvine (UCI) is both one of the world’s greenest universities and one of the most energy self-sufficient. UCI is the size of a city of about 36,000 students and over 50,000 when including faculty and staff. At the GTM Conference, Wendell Brase, UCI Associate Chancellor of Sustainability, explained the latest to me. The campus meets all of its 11 MW peak electricity demands with 3.7 MW of on-site solar power, cogeneration (CHP), purchased green energy, and with fuel cells. It can be self-sufficient because it is energy efficient, with 27 LEED Gold and Platinum buildings. The campus microgrid is connected the state electric grid, allowing it to import electricity and also participate in demand response programs that help stabilize the SCE grid and the California state grid. The UCI microgrid is smart with some 465,000 sensors and devices on an internet of things. Research universities, like UCI, have high ventilation, heating and cooling demands in their science and engineering labs. UCI’s Smart Labs Initiative has reduced energy use by over 60 percent in the participating labs. Some 65 percent of the university’s cooling demands are done off-peak, benefiting from the storage of 4.5 million gallon chilled water at a fraction of the cost of lithium battery storage. As an alumnus, I am grateful to having taken chemistry at UCI from Nobel Laureate Dr. Sherwood Rowland, leading to my commitment to reduce the dangerous impact of greenhouse gases. Beyond climate and energy resilience, UCI students and faculty in many disciplines are involved in community resilience projects that also involve broader issues of environmental justice, inclusiveness, social transformation, and reducing global carbon emissions. In some regions, electric grids have increased capacity, become more reliable, much better at integrating distributed renewables, smarter and more resilient. In other places, serious investment is needed to reduce the risk of failure in storms and malfunctions that cause everything from wildfires to millions living for days in darkness. Microgrids are a growing part of the solution. From apartment complexes of one thousand people to universities of 50,000, communities are becoming more resilient and carbon-neutral. Regions from the Northeast to the Southwest are becoming climate and energy resilient, and cities from New York to Chicago to Irvine are becoming smart cities with increasing numbers of connected smart buildings and microgrids that make the cities more sustainable and resilient.